Stephanie Holmes flies United Airlines UA1565 Houston to San Jose, Costa Rica. My seat: 4F, a window seat in the premium cabin’s 2-2 configuration. The leather seat was large and comfortable, and it felt like there was a good amount of space between me and my neighbour. On time: We pushed back four minutes early. How full: There was one spare First seat available — the seat next to me — but a lucky Economy passenger got upgraded at the very last minute. Fellow passengers: A mixed bag of nationalities heading to this popular tourist destination. A couple of quite drunk American men in the seats directly behind me were having a very loud, expletive laden-conversation until well after take off. Good job I’m not easily offended. 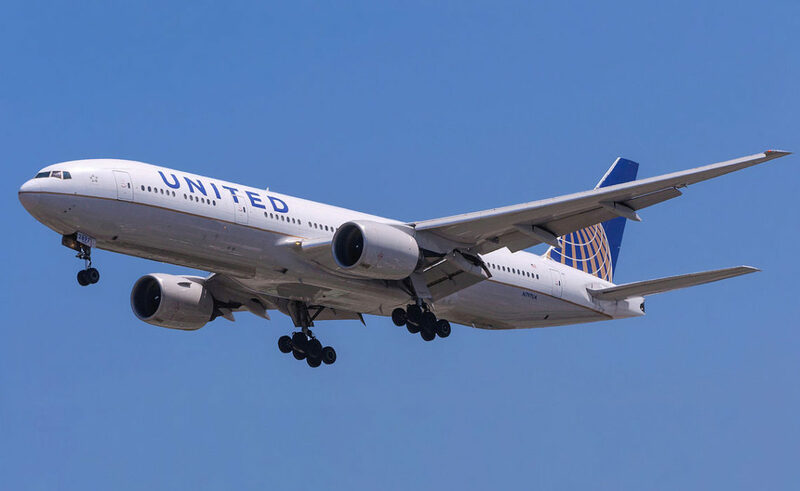 Entertainment: Movies and live television is available on seat back screens for First passengers, or you can use the United app and complimentary Wi-Fi to watch movies and TV shows on personal devices — although you need to download the app before you board. Service: The lone female flight attendant looking after the Premium passengers seemed a bit harried and wasn’t overly welcoming. Food and drink: A glass of sparkling wine pre-take off, followed by a moreish bowl of warm, roasted nuts and a glass of red once we were in the air. Dinner was a sourdough roll and butter, green salad with balsamic dressing and feta, chicken with rice, carrots and courgette. There was an offer of dessert but I was full. Toilets: Basic and small, with handwash, but no extra amenities such as hand lotion or face wash.
Airport experience: Houston’s George Bush airport is a dream compared to some of the west coast US airports. What’s not to like about a departures hall that has a traditional Texan smokehouse as one of its food offerings? Would I fly again? Yes, it’s a comfortable service in First, ensuring you arrive at your destination feeling as fresh as can be expected.